When I was younger I used to drink a Vodka called ‘Grants’ for the sole reason that it had the bold slogan ‘The Exciting Vodka’ on the bottle lid. Grants was sued for Trademark infringement, and changed to ‘Glens’ Vodka, but it never had the same appeal. 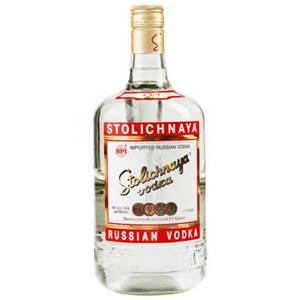 A Russian pseudo-governmental entity claims that it is the rightful owner of the Stolichnaya trademark and that as a result, U.S. distributors who sell the product are acting in violation of established trademark rights. The problem arises from the fact that the original owner — the Russian Federation – is no more.